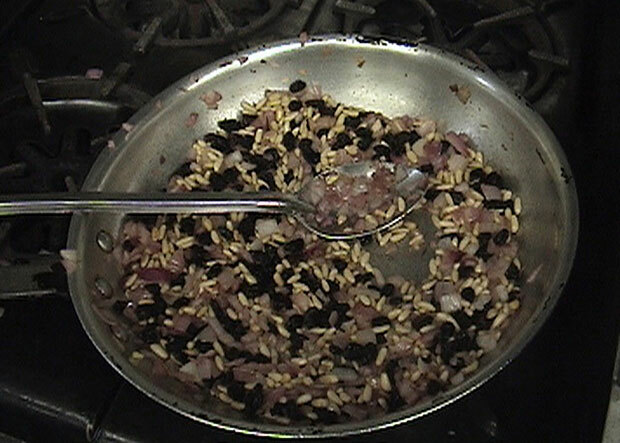 The artist cooked Iraqi cuisine with a group of middle school and high school students who live in Chelsea and participated in after-school and summer programs at the Hudson Guild Community Center. Some had relatives in the US Army stationed in Iraq. In preparing and consuming the food, an environment was forged in which the word ‘Iraq’ could be openly discussed—in this case, the food was a cultural symbol different than the stream of distant images shown on CNN. 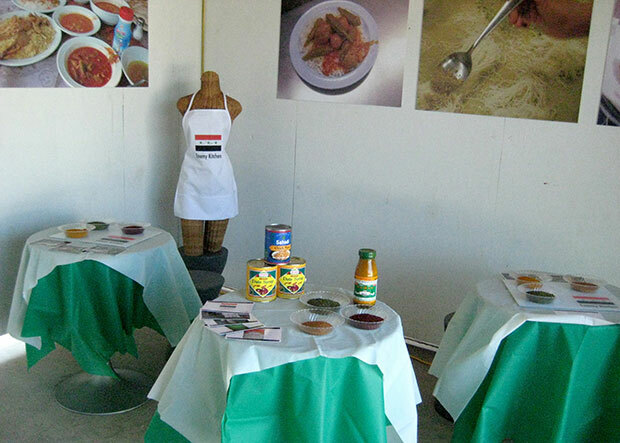 The project functioned as a social sculpture: while cooking and eating, the students engaged each other on the topic of the war and drew parallels to their own lives, at times making comparisons with bullies in relation to how they perceive the conflict. Some of the discussions were profound. One day, a girl who had attended a few classes came in frustrated and said, “Why do we have to cook this nasty food? They blow up our soldiers every day and they knocked down the Twin Towers!” Another student spoke up and said, “The Iraqis didn’t knock down the Twin Towers, it was Bin Laden.” Then, it went further. For the artist, the most gratifying moment of that project was when, after eight weekly sessions learning how to cook Iraqi food, the students at the Community Center began to syncretize Iraqi cuisine with their own cultural recipes. 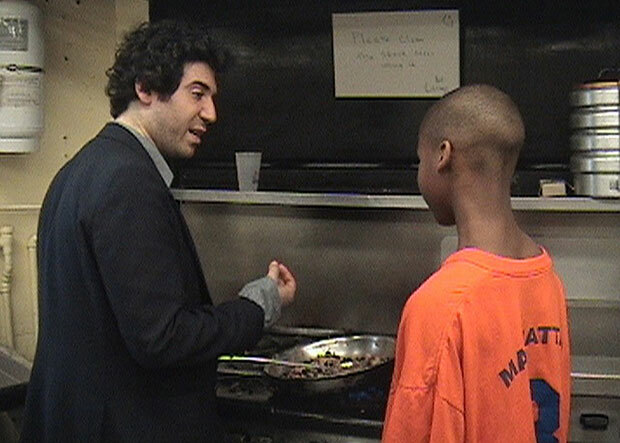 One of the students, Hyasheem, taught Michael how to do a shake-n-bake batter, and they used all the spices and herbs they’d learned about: cumin, sumac, a little tumeric, etc. to invent Iraqi fried chicken! For this exhibition, Michael Rakowitz presented the history and documentation of the project; Iraqi food was served at opening night. 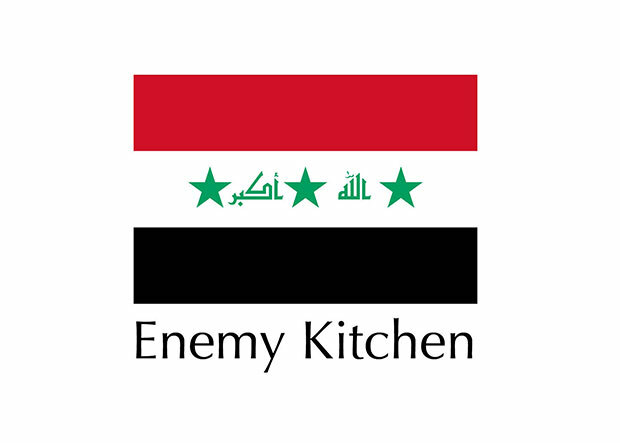 The project also included the publication of a group of Iraqi recipe cards telling the story of the project, which are still available upon request.